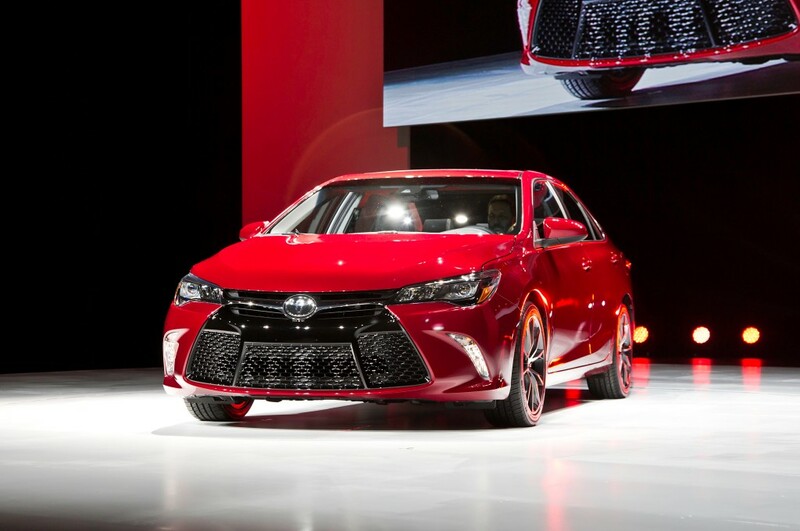 During the New York International Auto Show at the Jacob Javits Convention Center, Toyota unveiled the absolutely sleek and gorgeous 2015 Toyota Camry. The 2015 Toyota Camry changed its entire outer shell excluding the roof. 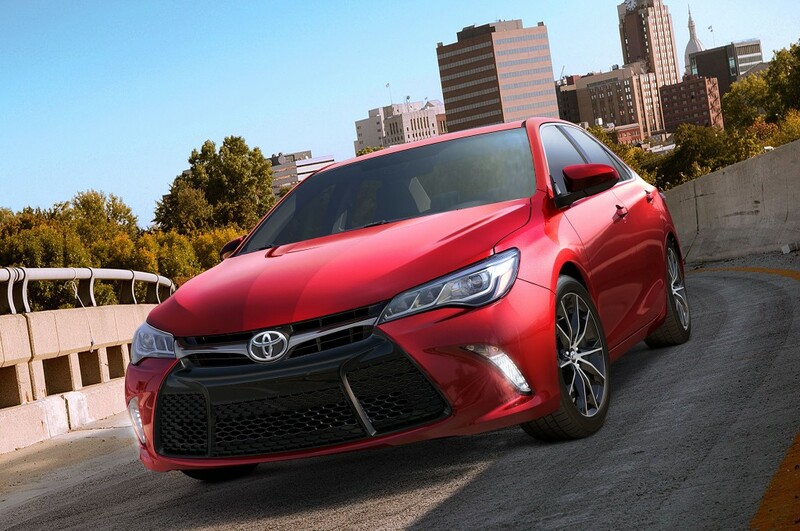 These changes made the 2015 Toyota Camry a few inches longer and just half an inch of a wider track. The front of the Camry has been lowered to have a more emphasized wide stance. The grill has also been changed to have a more trapezoidal shape. The insides of the 2015 Toyota Camry though is something a tech loving person would surely love. A wireless charging pad has been installed for convenient wireless charging while you drive. Having no wires to mess around with while in the car will help lessen clutter. If you have any Qi-enabled smartphone, this will be quite a handy feature to have. 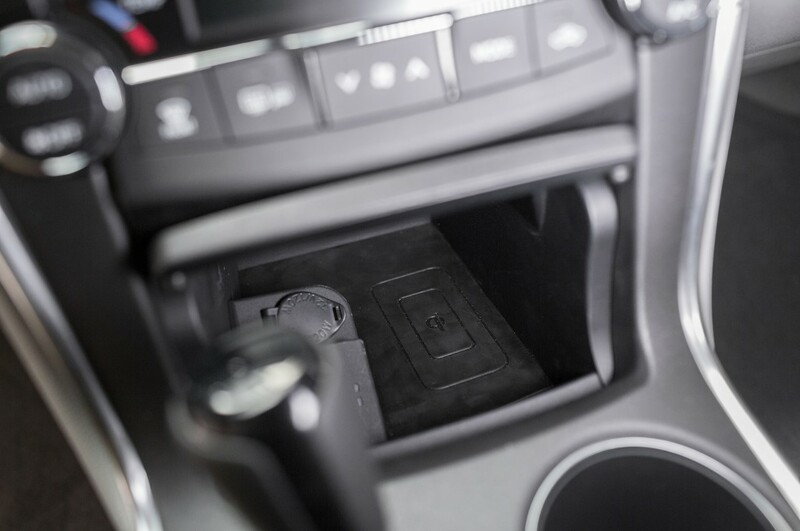 Take note that the Qi wireless charging pad on the 2015 Toyota Camry can wirelessly charge any smartphone that’s Qi-enabled. Right on top of the wireless charging pad is a 4.2” TFT LCD display for navigation, some warnings, and more information needed for the vehicle. The 2015 Toyota Camry will be available with a 2.5 liter four-cylinder engine or a 3.5 liter V6 gas engine along with a 6-speed automatic transmission. Another option is available with a 2.5 liter Atkinson Cycle engine with Hybrid Synergy drive with an E-CVT. The prices haven’t been announced yet but it was announced that it will come in 10 different colors, including Ruby Flare Pearl and Celestial Silver Metallic. I just bought my 2015 Camry 3 weeks ago and Im having trouble with the wireless charging system. I bought the QI phone cover and install it, cover fits the phone properly. The problem I’m having is that the charging system cuts on and off constantly. I can never get a continuous charge while driving. The dealership has no solutions. Can someone please help! This reply to my issue was not helpful. Is there someone else that I can be referred too for help? Same thing with mine, any fixes yet? How do I know if my vehicle which is a 2015 Camry Le, has the wireless charging? Inside the compartment in front of the shifter you will see a switch that will light-up when you press it and if you do have this capability you’ll need to have the wireless charging back cover for your phone. I have a Galaxy S6 and a brand new 2015 Camry XSE with the Advanced Technology Package and my S6 is not charging either when it is connected to the car. When I turn the phone OFF, it charges just fine, but with the phone on and especially when connected to the car, nothing happens. Same thing here, Toyota and Samsung are no help at all. I have the same exact issues Peter. Any fix yet? I have a 2015 Camry XLE and an Samsung Galaxy S6. The S6 has an Otterbox case on it. The width of the space where the Qi charger is located is not wide enough to accommodate this phone with case on it. It charges fine if I strip off the case. I’m pretty sure that an iPhone 6 with Otterbox would also not fit. So in my case the Qi charger is completely useless. Great job Toyota engineers! 2015 Camry XSE, Samsung S6 Edge. Charging goes off and on. WTF. Anyone have idea how to correct this? I’m having the same issue with the charging cycling on and off. I have an iPhone 6 with a charging adapter. It works fine with a charging pod at home, but not with the 2015 Camry XLE pad. I ordered a new case with the adapter built in with hopes that it will work better, but these posts aren’t giving me confidence. Does your wireless receiver case work properly? As a wireless charger factory (www.epqi.cn), we are trying to reduce this phenomenon. I have a note edge. I don’t have the qi yet but my phone doesn’t completely fit on the qi in my 2015 toyota camry xle. Does it have to completely touch for it to charge? I just purchased a new 2016 Camry XSE. I have an iPhone 6 Plus, so I immediately bought Qi charging case for it. Sad news! The width of the charging compartment is too small for the iPhone to lay flat in the case. If you force it down it will lay flat and charge. Otherwise, it pops up and will not charge. Just a few millimeters wider would suffice, but I am stuck using the old school charger. I just bought a top of the line 2016 Avalon and have the same issue with my 6Splus not fitting the space. With the issue prevailing for a few years and the “plus” size phone becoming very popular, what the heck are the Toyota engineers doing?? It should be a very simple fix with a few dimensional changes. They should have some retrofit/replacement out as a remedy. Someone is sleeping at the wheel! Makes me wonder what else was overlooked.